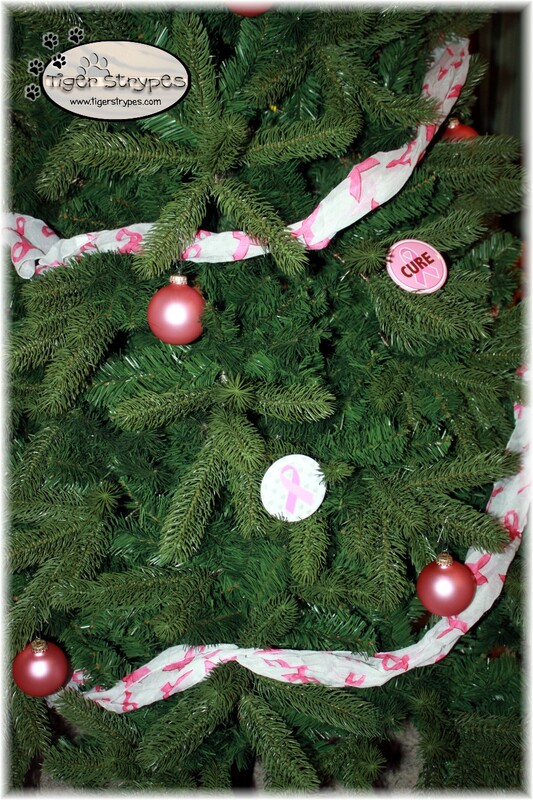 Thank you Tree Classics for partnering with me on this breast cancer awareness blog post! 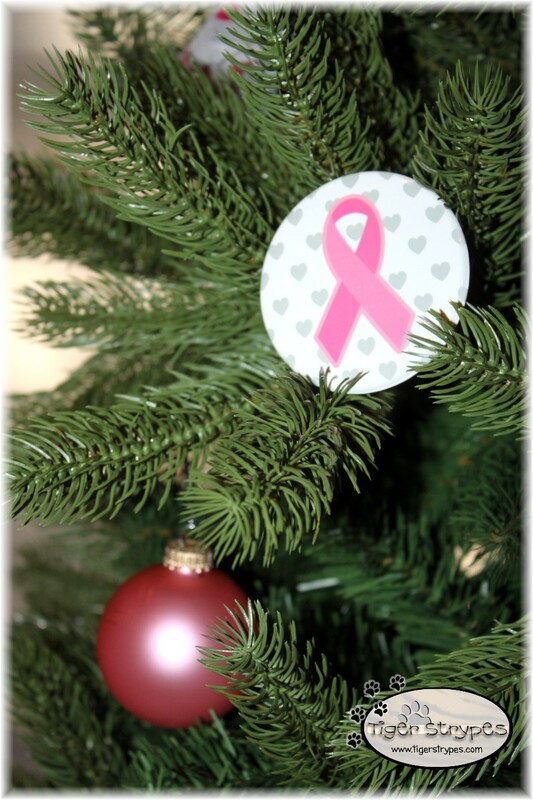 The Tree Classics company is joining up with some bloggers in the month of October, to help share information for National Breast Cancer Awareness Month! 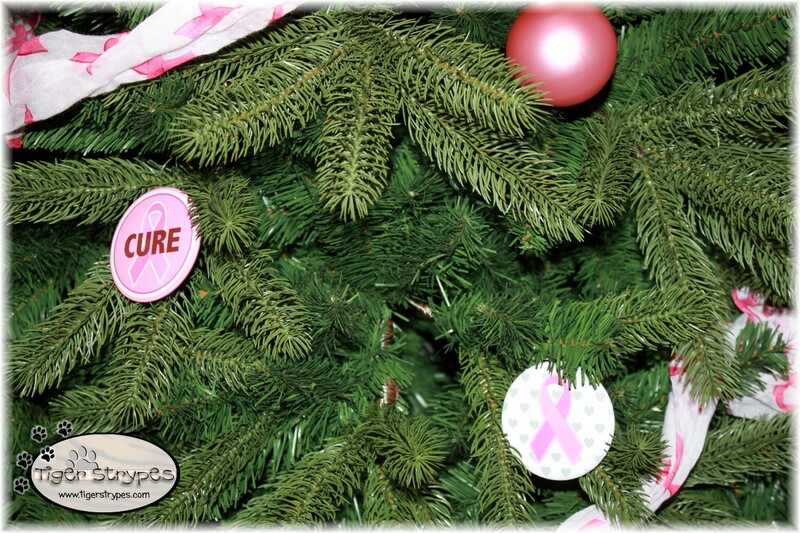 Tree Classics understands that so many of us have been affected by a cancer diagnosis. Have it be either ourselves, or someone that we love. 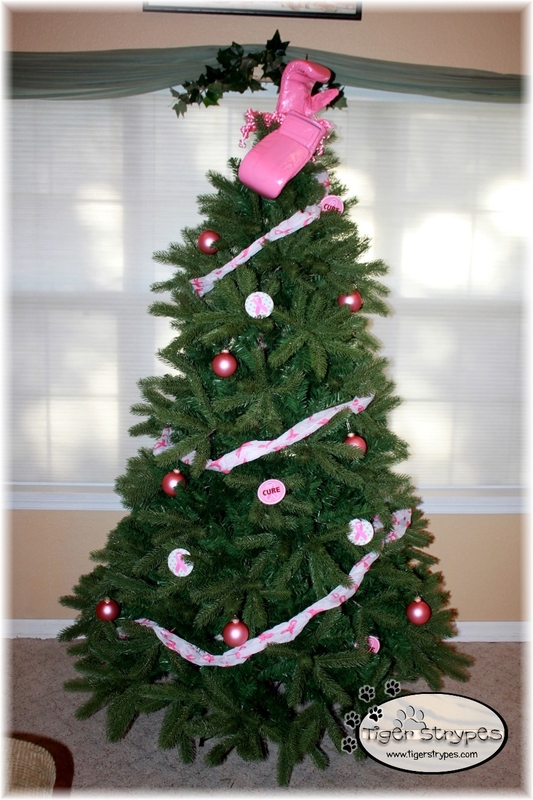 Tree Classics is a maker of realistic looking artificial Christmas trees, wreaths, and other foliage. They actively seek out opportunities to provide support to philanthropic initiatives and causes. This support extends to reinforcing important messages that the company believes in. Who doesn’t want to support a company like that? Finding out that I would be getting a beautiful Christmas tree from them, I was super excited. I had that nail biting wonder about our Christmas time, since our tree was getting old, lights no longer working, and it never truly looked real. 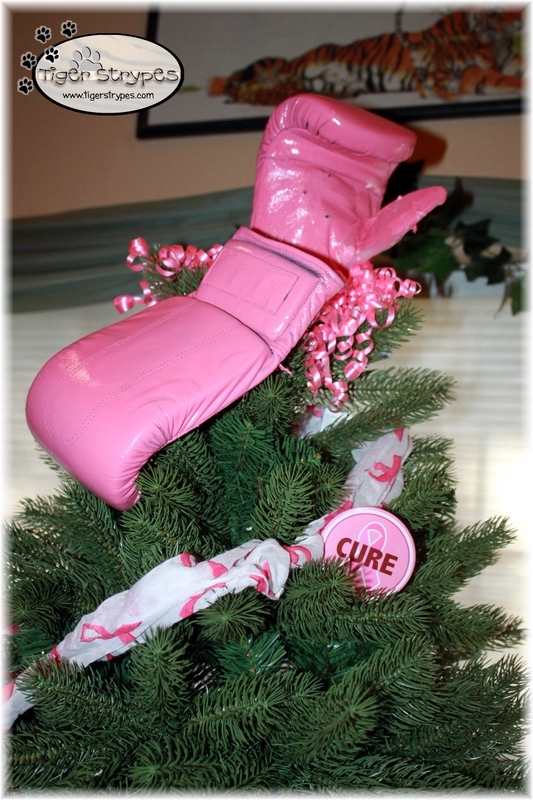 Being able to get a tree from Tree Classics, and decorate it early for Breast Cancer Awareness, plus have this beautiful thing for the holidays – YES PLEASE, sign me up!! I love using my TigerStrypes Blog to share about things that are close to my heart. Using something like this to spread awareness of breast cancer, just helps to get the word out to my readers how important it is. Myself, in my early 40’s am now on that list of needing to get checked for cancer each year. 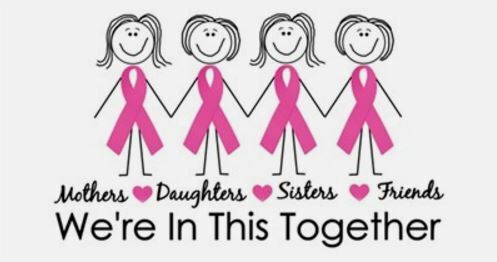 My Grandma had breast cancer and really never spoke much of it, since it seemed that back in the day, it wasn’t something you usually talked about. I’ve been living in the White Mountains of Arizona for 11 years now and I remember meeting an amazing lady at church who in just her 30’s was talking about her struggle with breast cancer. 30’s? Really? So many don’t even think that it can happen so young. Thankfully, she caught it in time, and has received treatment for her cancer. However, she still has to deal with some side effects and other problems. We thank God that she is still with us, since her heart is so giving and she obviously has a purpose on this earth! Prevention is so important, and it can save your life! So be sure to mark your calendars for monthly exams and be sure to say something, if something feels wrong. Another thing, too, that my friend told me…if the doctor says you’re fine, don’t always listen – get a second opinion! My friend was told that there was no problem, and upon getting a second opinion found out that she needed to start treatment immediately. Thankfully, she listened to that doctor! Please be sure to let me know in the comments, if you, or someone you know has been affected by cancer. Were there any tips that they gave you that you hold dear? Let’s all lift each other up to stay healthy, work to prevent, and join together to find a cure! 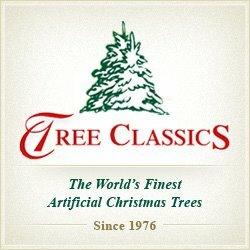 Go to Tree Classics to see the products that they have. Let’s help support a company that is helping to support others! The Tree Classics™ company is run by a group of very talented, driven and creative people. Established in 1976, we were the first online retailer of artificial Christmas trees, as well as the first to offer pre-lit Christmas trees to the market. We truly love Christmas and have a great time showing it by delighting customers year after year. We stand firm in our ability to offer the most spectacular tree designs, which can only be bested by the next season’s styles. Tree Classics is also a proud supporter of local and national charities, often donating merchandise to worthy causes. Giving back to the community is another way we show our Christmas spirit, and that’s what we know best. Thanks Sahana – I love to share the information on this. It is so important for all women! I agree, Nicole. I thought it was kind of weird to do it in October, but when they explained the campaign – I thought it was wonderful! Thanks Pam – I know that all that go through this are true fighters! 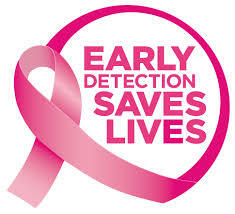 Be sure to take the time to get checked!! It doesn’t take much. What a cute tree. I love all the pink on it. Your tree is really cute! I love that you supported multiple causes with your post! My grandmother had breast cancer and it is a terrible disease, so I’m glad that this is a way to help support the cause.